The Flyer 72 Tactical Utility Vehicle or TUV is a variant of the Flyer off-road vehicle family that’s optimized for hauling cargo. 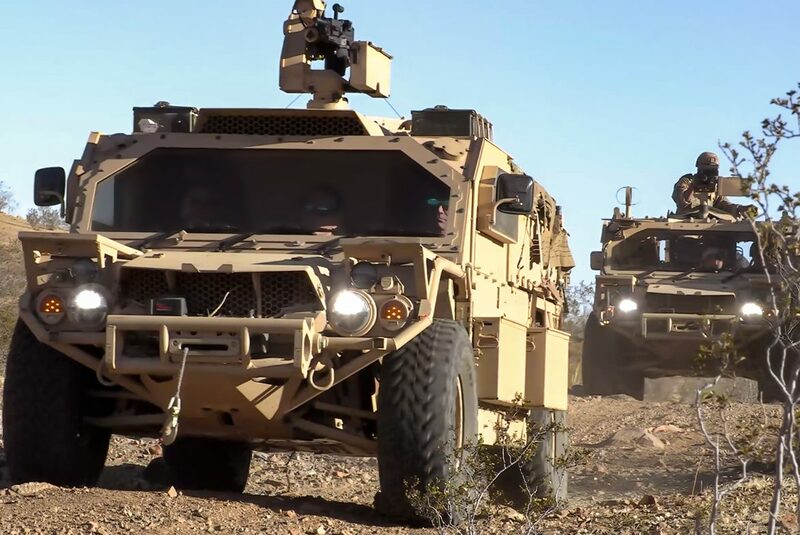 Since late 2014 both the Flyer 60 and 72 became the preferred long-range patrol vehicles for the US military’s Special Operations Command (SOCOM) since these fit inside a C-130 or a V-22 Osprey. They aren’t as clumsy as MRAPs either. Open top commando transports have flourished since the beginning of this decade and both the Flyer 60 and 72 succeeded against the odds thanks to SOCOM’s patronage. To broaden its appeal, General Dynamics is casting the TUV as a protected 4×4 with a spacious bed. But it can perform other jobs as well. 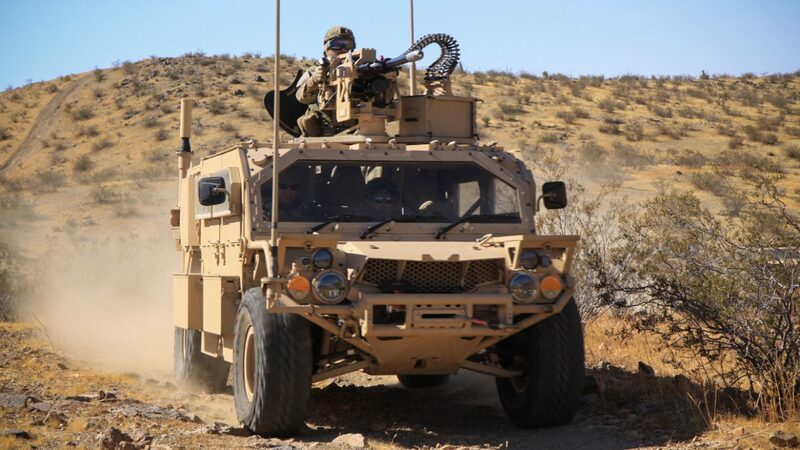 Readers who’ve followed the “Armored Cars” series since it launched in 2014 might wonder why special operations vehicles aren’t regularly featured. The reason why is Armored Cars, as its name indicates, is dedicated to armored 4×4 trucks. Flyers were never meant to have armor except the TUV has some, so it now gets its due. Like so many other innovations that matured during the US’ global war on terror in the 2000s, the Flyer’s origins can be traced to Oded Nechushtan, an enterprising Israeli whose experience with rebuilding trucks for the IDF influenced his attempt to make a better dune buggy. The original Flyer started as a passion project in the 1990s. By the year 2000, however, the California based startup was in direct competition with an established military-industrial company to supply the US Marine Corps with a lightweight all-terrain vehicle for Afghanistan. Another early adopter of the Flyers was Singapore, whose army deployed it as the Light Strike Vehicle or LSV and LSV MK II. Nechushtan’s Flyer Defense proved a successful vertical of The Marvin Group and in 2010 a co-production deal was struck with General Dynamics. The resulting Flyer 72 took its name from the 72 inch width of its chassis–a slight improvement over the small Flyer 60–and it was meant as an open top commando car bristling with weaponry. General Dynamics even went as far as installing a lightweight 30mm cannon on its roof turret in lieu of a .50 caliber minigun. The Flyer 72 TUV is a recent iteration of the Flyer MGV 1.1. The main difference is the TUV’s enclosed armored cab seating three persons, with the driver in the middle seat, and a bed that can support a variety of modules. General Dynamics claims the TUV is able to transport 6,000 pounds of cargo and still fits in a CH-47 Chinook, a CH-53 Pave Low, and a C-130. There are five configurations of the TUV available: As a CASEVAC vehicle for the wounded; a mobile mortar carrier, a troop truck for 10 passengers; a K9 carrier kit with dog kennels; and a mobile command post. When it comes to mobility, the Flyer 72 TUV’s 195 horsepower diesel engine gives it a top speed of 153 kilometers per hour with a 483 km maximum range. As an off-road vehicle the TUV, which has automatic six-speed transmission, runs on a tubular space frame chassis supporting a sturdy integrated roll cage. Independent adjustable suspension for each of its tires are a given. As a fighting vehicle, the windshield and side doors on the cab look like they have armoring equal to STANAG III. 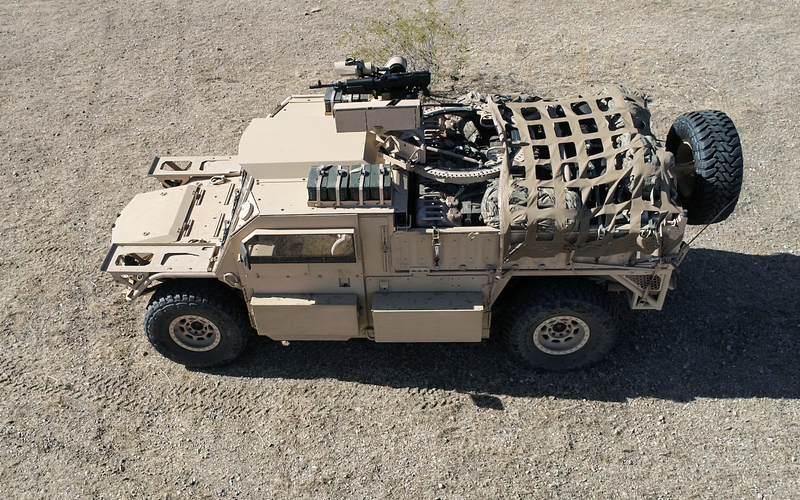 General Dynamics offers a variety of small arms, whether manned or remote controlled, as primary armaments for the TUV’s ring mount. This is a “basic” Flyer 72 with a nine seat configuration–four at the back and six in the armored cab–mounting a 30mm M230 chain gun. The same used on an AH-64E Apache. Via General Dynamics. The Flyer 72 TUV is neither amphibious nor blast resistant. It’s foremost a special operations vehicle whose primary role is delivering soldiers to remote areas. The Flyer 60/72 enjoys the benefit of an unsullied reputation among America’s elite “warfighters.” Many US allies will definitely find it attractive but the truth is open top commando cars are so common today the competition is almost numbing. 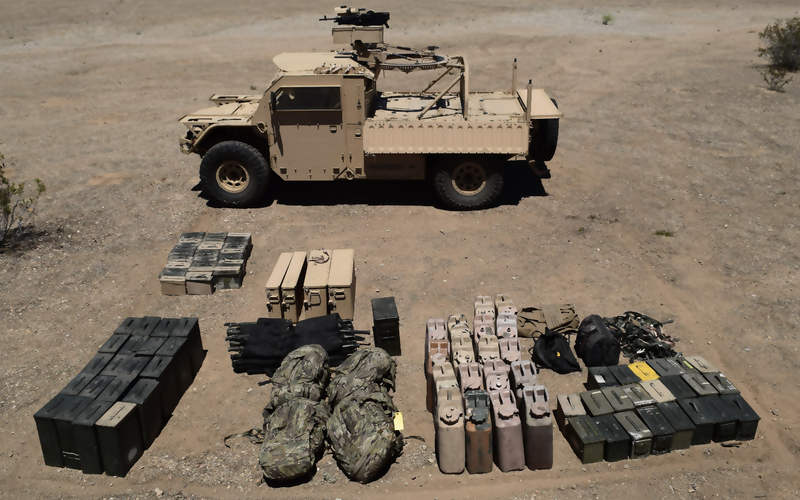 For starters, military-industrial companies from either side of the Atlantic have modular 4×4’s in their catalogs. Then there’s the stark reality of knowing anyone can build a lightweight off-road truck on a budget. This means foreign militaries simply have to commission a few stripped down rides and arm them with machine guns. Presto! 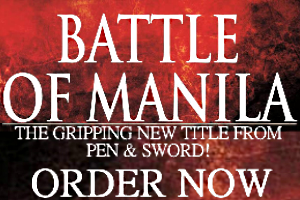 But the Flyer is made in the USA and the USA never stops fighting abroad. So its legacy will keep growing despite the imitators.